Residents from YMCA Wimbledon and YMCA Surbiton visited Holly Lodge stables in Richmond Park, Surrey yesterday to meet the staff and beautiful horses at Operation Centaur ahead of their equine therapy course. 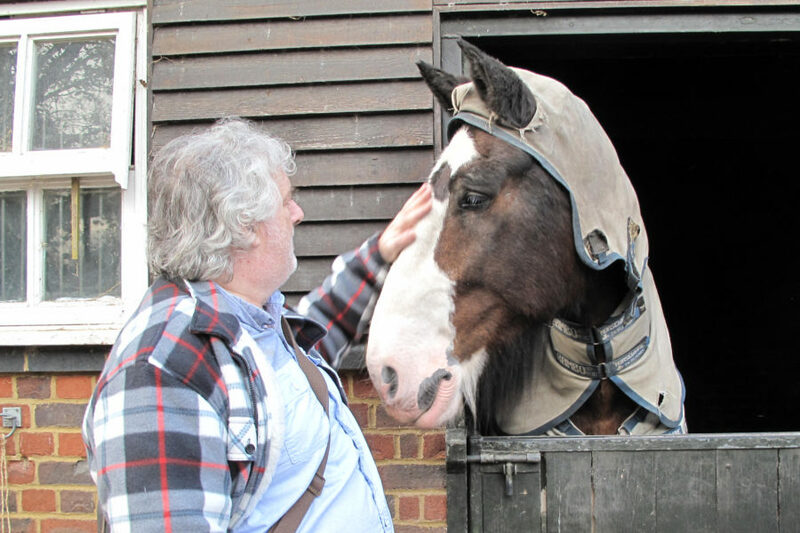 This is an organisation which has been set up to show how humans and horses can work together across areas such as heritage, conservation, agriculture, learning and therapy. Our residents experienced first-hand the calming effect horses can have and they learnt how working with horses can bring them closer to nature. A perfect antidote to the stressful urban environments we live in. “My godmother used to run stables, so it was lovely to be around horses again as it’s such a good memory for me,” said Sam, one of our Wimbledon residents. Our residents are due to start an equine therapy course soon which will help them break down communication barriers, learn how to build strong relationships and create a life-long memory of connecting with an amazing animal. “The horses are very sensitive to people’s emotions, they can see through bravado and nervousness, and they deserve our trust and respect,” explained Operation Centaur staff member Andreas. Our residents will also learn skills that will help them work in stables, such as grooming and harnessing horses and equine care. They could also participate in future conservation projects that encourage sustainability such as cutting verges in Petersham, Richmond and traditional haymaking in the Royal Parks. “I loved the horses, they were fantastic. I think it’s probably easier sometimes to talk to the horses than humans,” said Ardeshir. We are lucky enough to have the funding in place for to cover the cost of the equine therapy course for our residents, but essential funding is needed for their food and travel expenses while they are on the course – can you help? Please contact us at enquiries@ymcalsw.org if you would like to make a donation to give our residents a chance to make this unforgettable connection with horses and nature.